On May 16, 2017, Amanda R. Strainis-Walker and Dan C. Deacon of Conn Maciel Carey’s national OSHA Practice Group, presented a webinar regarding “OSHA’s E-Recordkeeping and Anti-Retaliation Rule.” Here is a link to a recording of the webinar. 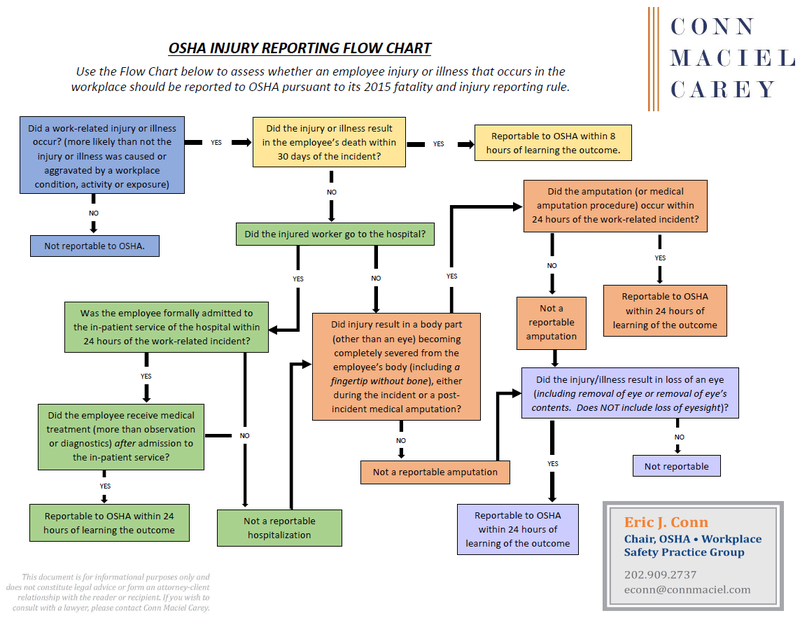 OSHA’s controversial new Electronic Injury and Illness Recordkeeping data submission rule, along with its new Anti-Retaliation elements has thus far survived a barrage of negative stakeholder comments during the rulemaking, multiple enforcement deferrals, and a legal challenge complete with a preliminary injunction motions, and continuing legal challenges. As of today, all elements of the rule are in effect, including limits on post-injury drug testing and safety incentive programs, and barring a change before July 1, 2017, thousands of employers will, for the first time, be required to submit injury and illness recordkeeping data to OSHA, possibly for publishing online. This was the fifth webinar event in Conn Maciel Carey’s 2017 OSHA Webinar Series. Plan to join us for the remaining complimentary monthly OSHA webinars. Click here for the full schedule and program descriptions for the 2017 series, and/or to register for the entire 2017 series, click here to send us an email request, and we will get you registered. If you missed any of our prior webinars in the 2017 or past years’ OSHA Webinar Series, here is a link Conn Maciel Carey’s Webinar Archive.